1. 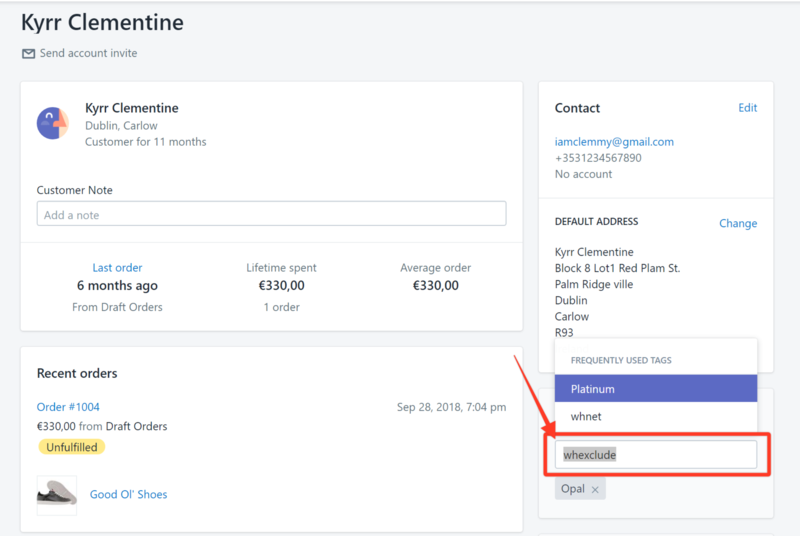 On your Shopify admin, click Customers. 2. 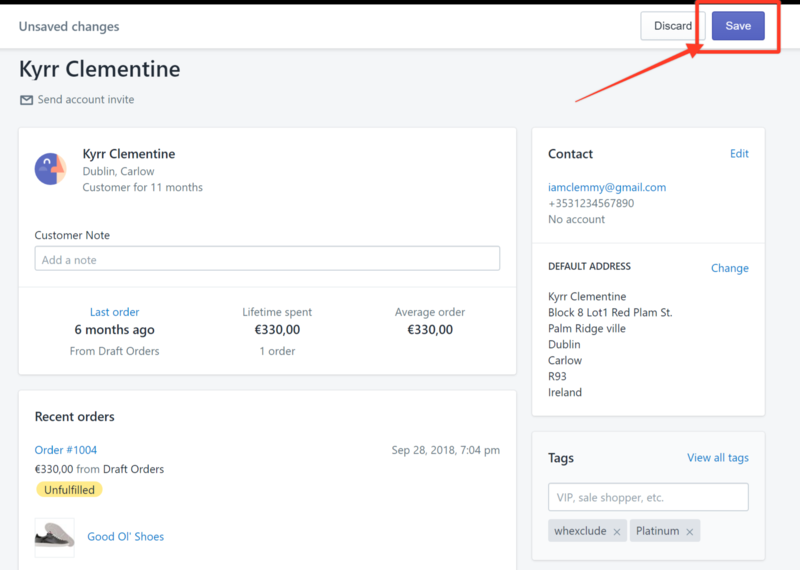 Choose the customer that you want to exclude by clicking on the name. 3. Scroll down to the Tags section. 4. 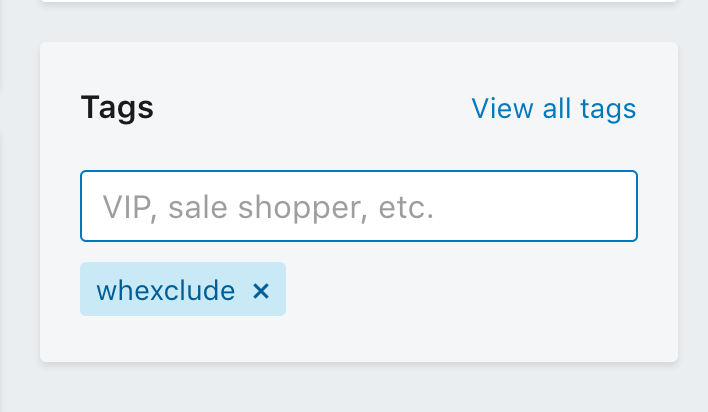 Enter whexclude and then add it to the tags. 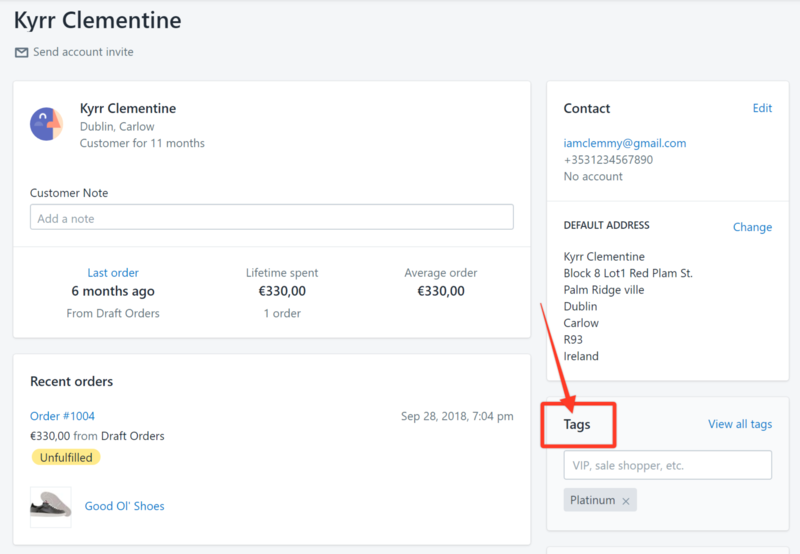 This customer will now be excluded from auto tags.